Helen Ruth Morris, 80, passed away May 24, 2018 at her home in Platte City, MO, one day shy of her 81st birthday. Helen was born May 25, 1937 in London, AR to Howard and Sally (Gibson) Wilson. She married Raymone “Ray” E. Morris on September 6, 1962 in Oklahoma. Helen was a member of the First Baptist Church in Platte City and the Prime 55 Club, and helped at polling locations for local elections. She was a member of the Gladstone Bowling League for many years, and also enjoyed playing cards. Helen was known for wearing hats for almost any occasion, and she was always joking and smiling. She liked working in her yard, but most of all loved spending time with her family. She was preceded in death by her parents; husband; son Ray Morris, Jr.; and brothers Bob and John Wilson. Helen is survived by: son Mike Morris of Platte City; daughter Kim (Dan) Loudermilk of Gladstone, MO; grandchildren Jade and Brandon; sister Shirley Davis of Augusta, KS; and numerous nieces, nephews, friends, and extended family. The family suggests contributions be given to St. Luke’s Hospice. 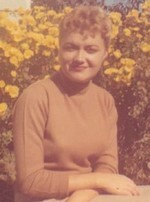 To send flowers to the family of Helen Ruth Morris, please visit our Heartfelt Sympathies Store.